It was a memorable game when these two sides met last season at Selhurst Park. Manchester United completed a trademark comeback after they found themselves 2 goals down with 40 minutes to play. Nemanja Matic's screamer in injury time won United the game, and it ended 2-3. Selhurst Park is always a difficult place to get a result and Manchester United will be wary of the threat Crystal Palace possesses. They are a very well organized side who will soak up pressure for most of the game, and then hit the opposition on the counter when they get the opportunity. They have the likes of Wilfred Zaha and Andros Townsend, who can punish the opposition with every opportunity they get. They won their last game 1-4 against Leicester City at King Power Stadium. Manchester United have problems of their own. They are without 5 first-team players who are out with injuries. Ander Herrera, Juan Mata, Marcus Rashford and Jesse Lingard suffered injuries during the Liverpool game while Nemanja Matic and Anthony Martial are also expected to miss the trip to Selhurst Park. It would be very interesting to see how Ole Gunnar Solskjaer sets up his side to win the game. It is a crucial game for Manchester United in terms of finishing in the top-4. A loss will dent their top-4 hopes this season, with Arsenal and Chelsea both fighting for the same position. 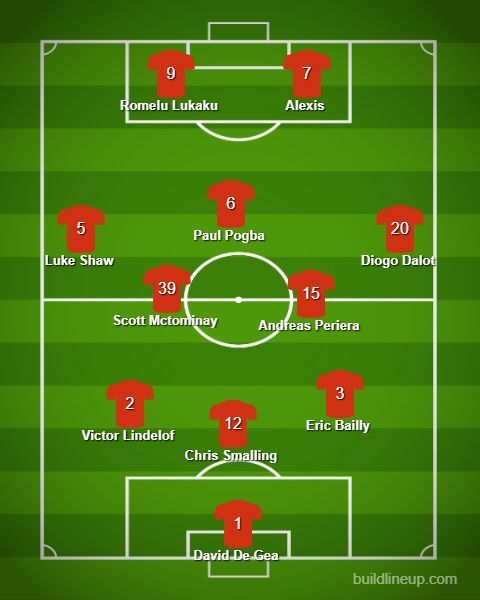 Ole Gunnar Solskjaer could resort to a 3-5-2 as many of his first-team players are missing through injuries. 3 at the back will not only allow his full-backs to go forward but will also help United from the aerial threat Crystal Palace possesses. 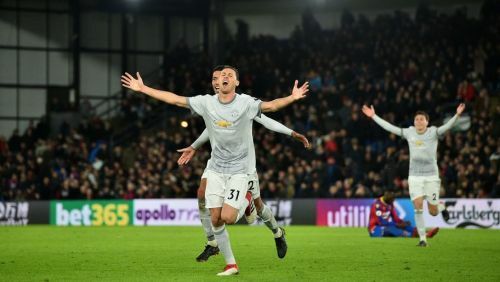 United have been a free-flowing attacking side under Ole Gunnar Solskjaer and most of the credit goes to Nemanja Matic and Ander Herrera. They protect the middle of the park perfectly and allow Paul Pogba to play his natural game. But with injuries to both Matic and Herrera, Scott Mctominay and Andreas Pereira will have the responsibility to do the same job Matic and Herrera does. Although both are brilliant footballers, they lack experience both Matic and Herrera have. Diogo Dalot could replace Young at right wing-back. After that solid performance against Liverpool, Luke Shaw will keep his place at left-back. The only first-team attackers available are Romelu Lukaku and Alexis Sanchez and both are expected to start against Crystal Palace.